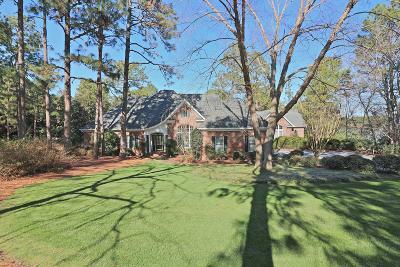 Exceptional 3 bedroom, 3.5 bath, golf front home on 1.24 acres in desirable Fairwoods, Pinehurst #7! Gorgeous views of 18th Fairway/10th Tee & Fairway. Elegant foyer boasts beautiful hardwood floors & leads to a grand & inviting formal dining room w/ vaulted ceiling. Sunny formal living room overlooks private saltwater pool and golf course. Extraordinary kitchen has butler's pantry, ample bar seating, white cabinetry, gas stove, double oven, Samsung refrigerator, and Bosch dishwasher. Plantation Shutters, crown molding, 2 water heaters (2018), newer roof (2018), 2 separate below-grade storage /workshop rooms. Crawl space encapsulated (2018) with new 8 mil insulation, clean joists, 2 cond. units. 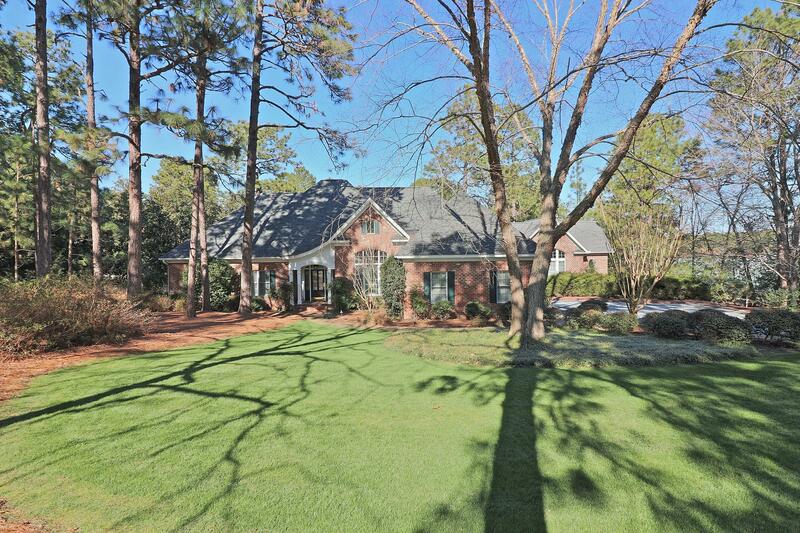 2002 Addition: Family rm w/ coffered ceiling, Billiard/bonus rm w/ barrel ceiling & wet bar. Eating Space Room Size: 11'x13'6"